Gene Messer Volkswagen invites you to visit our fantastic VW dealership in Lubbock, TX. Our knowledgeable team members are ready to provide you with the best Volkswagen sales, service, parts, and accessories in the Lubbock area. 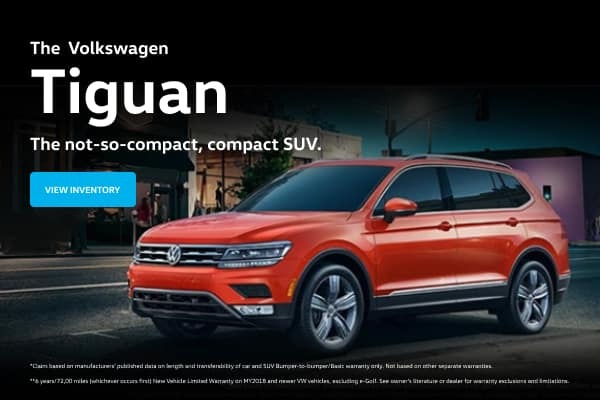 If you’re looking for only the best deals on New and Pre-Owned Volkswagen Cars & SUVs in the Lubbock area, then stop by today to test drive one of our latest models. We offer a great selection of new and used Jetta, Passat, Beetle, Tiguan, and Golf GTI, as well as many other popular models. Call 855-347-7694 today for Volkswagen pricing, availability, service, parts, accessories and more! Among the many things drivers notice and appreciate about our new Volkswagen inventory, is its diversity. That said, there are a few resounding favorites, such as the Passat, Jetta, Tiguan, Beetle and the new Golf Alltrack and Atlas. To see what all of the fuss is about, simply drop by Gene Messer Volkswagen and take a spin. Rather spend a little less on a car and save a little more for retirement, a down payment, or dream vacation? We totally understand: new cars aren’t for everyone. As such, we also have a wide array of low-mileage, well-maintained used cars for hitting the roads of Lubbock, Amarillo, Abilene, Odessa, Clovis, and Hobbs. Once you find your perfect new Volkswagen, or used car, match, Gene Messer Volkswagen will help you discover financing options for a car loan or lease designed not only to help you comfortably meet immediate financial goals but long-term plans as well. Whoever said financing is the hard part is wrong. We at Gene Messer Volkswagen do not expect you to simply take our word that we offer excellent service, however. Sometimes, seeing truly is believing. That’s why we invite you to visit us at 7007 University Ave., Lubbock, TX, 79413 for a test drive at your earliest convenience.